Ibrox Noise: Has Steven Gerrard just made his first massive decision at Ibrox? Has Steven Gerrard just made his first massive decision at Ibrox? If Steven Gerrard was one thing in his career, it was a leader. A true leader of men, who single-handedly pulled his men to success in the Champions league final of 2005 and dragged them from 0-3 down to being the kings of Europe. This guy knows how to lead. 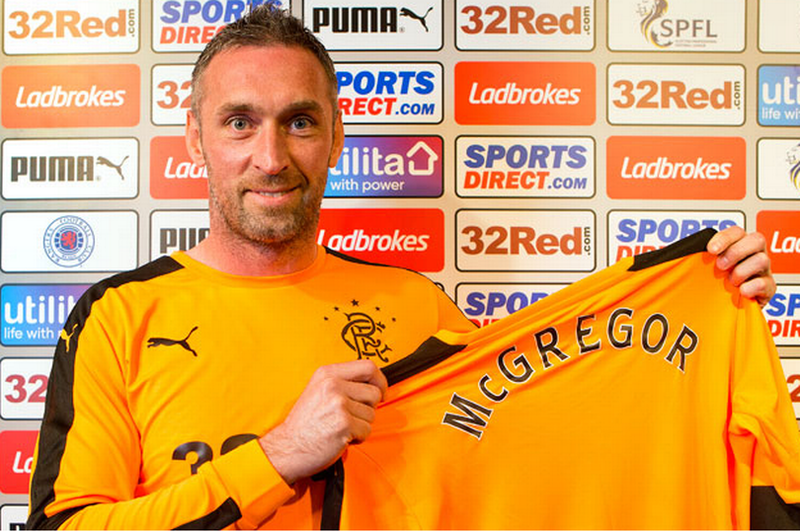 Hence we wonder if yesterday he signed the new captain of Rangers FC in Allan McGregor. Gerrard needs major leaders in his squad, big time men who know how to cope with the pressure of playing for this club – who know how to communicate, galvanise and generally motivate – and there is no doubt Allan McGregor can do that. The simple fact is there isn’t a captain in the side. All the existing ones are either insufficient or out of favour. Bruno Alves had his chance and didn’t take it. He may well be a player for this club in the future, but a leader of it he isn’t. Lee Wallace’s future is unclear but it’s hard to see him being restored to captain under Gerrard. James Tavernier just isn’t a captain, and may even move on anyway. And Kenny Miller is technically no longer a Rangers player. Rangers need new men, new blood, new big stalwarts who know what Rangers means and who can truly lead. Having a worthy goalkeeper of the highest quality, and having a captain of his own men. Plus he came on a free – there really is no downside here. Rangers really, REALLY need leaders on the pitch – 2017/2018 will go down as the worst in Rangers’ history with regards the captaincy – we had Wallace, Miller, Alves, Tavernier while Russell Martin announced to everyone that he expected to be captain too. None of these worked out. We have been without a true leader, and I hate to say it, but a Scott Brown-type commander in the XI. McGregor fits the bill perfectly. 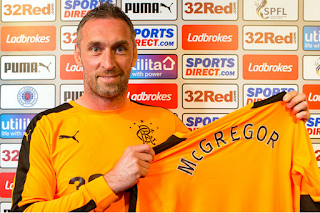 Don’t know about captain as I never feel that a goalkeeper is the best position for that role -but McGregor is a great signing. A winner from an era when Rangers were a team of winners, and a significant improvement on any goalkeeper we’ve had since administration. Let’s go! I think McGregor is a leader and the team needs leaders all over the pitch, but nowhere more so than in the penalty area. But captain? No. Never been a fan of Keeper captains. We spend a lot more time attacking than defending, so ball in the other half, which leaves keeper a long way from the action and the rest of the team. Would prefer a midfielder or central defender. Perhaps a little fussy, does it really matter when communication can be done throughout the week? Don't know. But while I am glad he is back, I haven't forgotten how he left. A naval captain goes down with his ship, a football captain should not desert like a rat. I don't know why I don't bear him the same level of animosity as Lafferty and Naismith. It's irrational, but I don't. Ask wallace where his loyalty and passion got him mate? Is that how the new regime treats one of our own. eleven wallaces or millers would not have rolled over against that mob. Agree McGregor has the personality and experience to be captain. However, I'm not a fan of keepers being captain. I prefer my captain to be in the thick of it. And lead by example by getting control of game and giving it tight to the Ref. In my opinion a keeper is to isolated to do that. Arfield & McNasty were on the club’s radar. The manager has gone with it but they’re not his signing really. I.N. any articles on the latest accusations this week regarding our club? As i find it to be suspicious to say the least. the timing of this by the sfa and bbc as gerrard readies himself seems all to coincidental. why now? what's next?